Recently refurbished compact double, ideally for the lone traveller but could accommodate two people. Please note that due to the size of the room the double bed is against the wall. 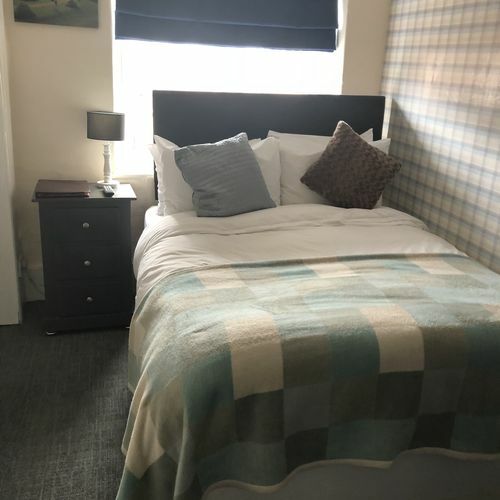 Whilst compact you still benefit from all the facilities including: Tea & coffee making facilities, TV with freeview, fresh towels, Free WiFi internet access, ironing facilities available by request and hair-dryer. 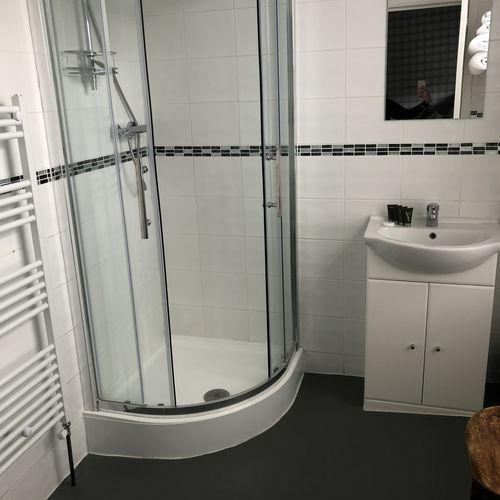 The en-suite bathroom features a large shower and a saniflow WC which some guests may find slightly noisier on flushing than a standard WC. Breakfast and Parking are included in room price. Fans and blankets are available on request.